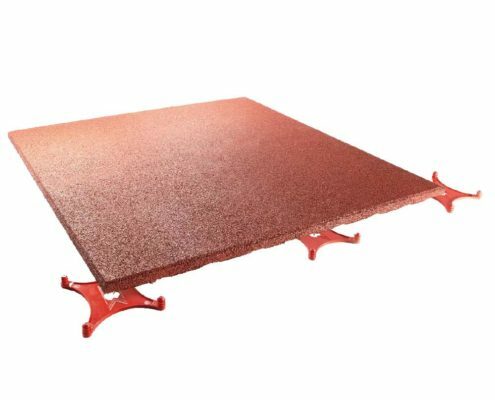 1000 x 1000 x 45 Terrasoft Slabs are made of pure rubber granulate (1-3.5 mm) and are bound and coated with polyurethane. Due to the greater thickness and the drainage arrangement on the underside of the slab they are particularly resilient and permeable to water. 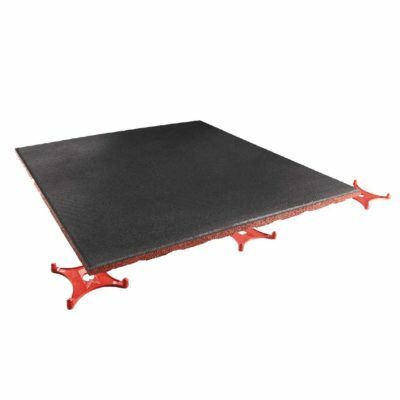 The slab cushions easily when you walk on it, which brings numerous orthopaedic benefits. In addition to a pleasant walking feeling, the joints are spared. 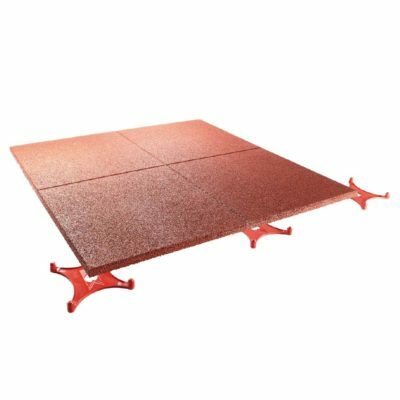 The Terrasoft slabs are mainly used in areas that require rapid coverage of large areas, especially on large terraces or outdoor seating. Areas that require barrier-free access in conjunction with non-slip properties are often covered with Terrasoft 1000 x 1000 x 45 slabs. These are, for example, entrance areas or open spaces in nursing homes or hospitals. In addition, due to their permeability, the slabs provide optimum flooring for animal husbandry.